Lovetts Add-on Hawk Beeper 4407-AO. $89.95. It only has 1 point-only mode. The Hawk screech sounds like a...well-nothing like a hawk! Overall it seems a little sensitive. It works, and does the job. 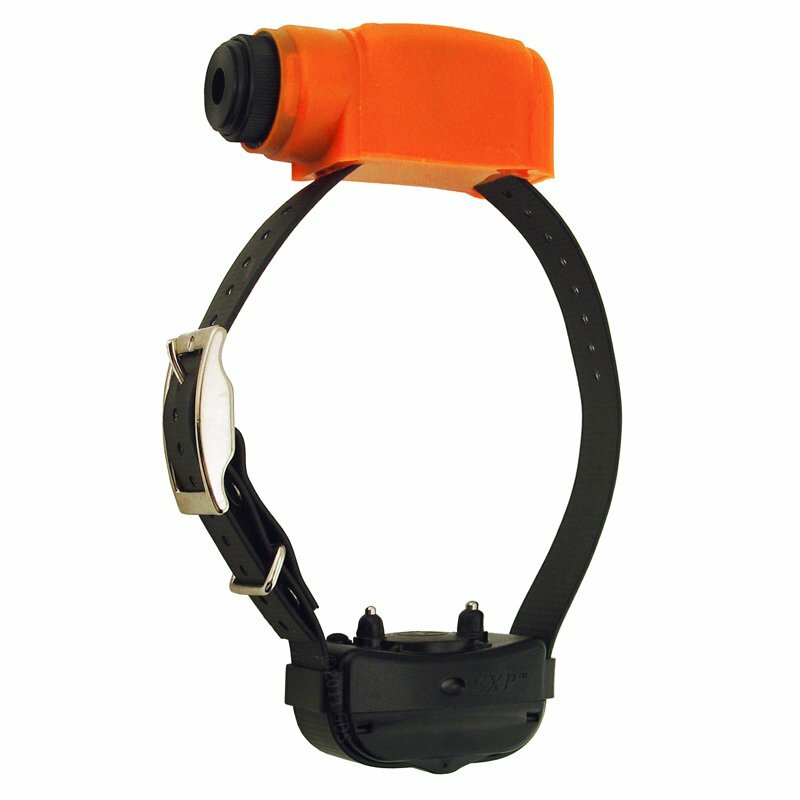 All the functionality of the Lovetts 4407 Hawk Beeper in an Add-On version -- just attach to your favorite Duralon or Day-glo type 1" collar, or on your 1" e-collar strap! To Turn the Unit On: Press the on button (the green one closest to the battery compartment) and hold until a series of chirps are heard, then release it. 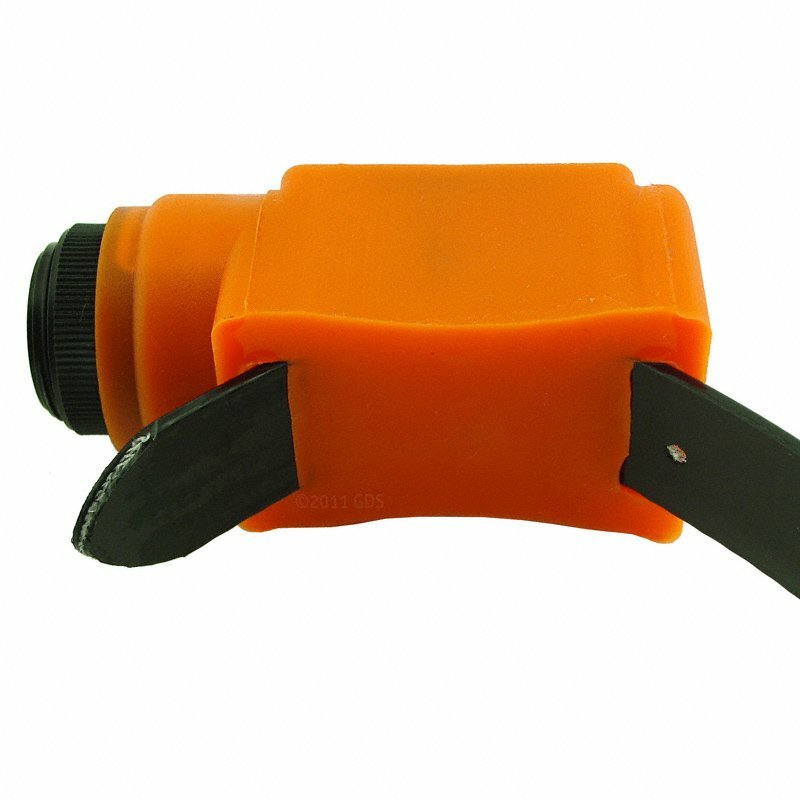 There is a one-second delay on the action of both switches to prevent inadvertent operation while in use. The number of chirps heard indicates the operating mode. The collar is now on and will begin operation after five seconds. To Change Modes: Press the on button again within five seconds of turning the unit on (or just continue to bold it down) to advance to the next operating mode. Each time the mode changes, the corresponding number of chirps will be heard. The unit will loop back to mode one after mode three. To Turn the Unit Off: Press the off button (the red one closest to the speaker) and hold until a click is heard, then release it. The unit is now off. The operating mode will be remembered when the unit is next turned on. 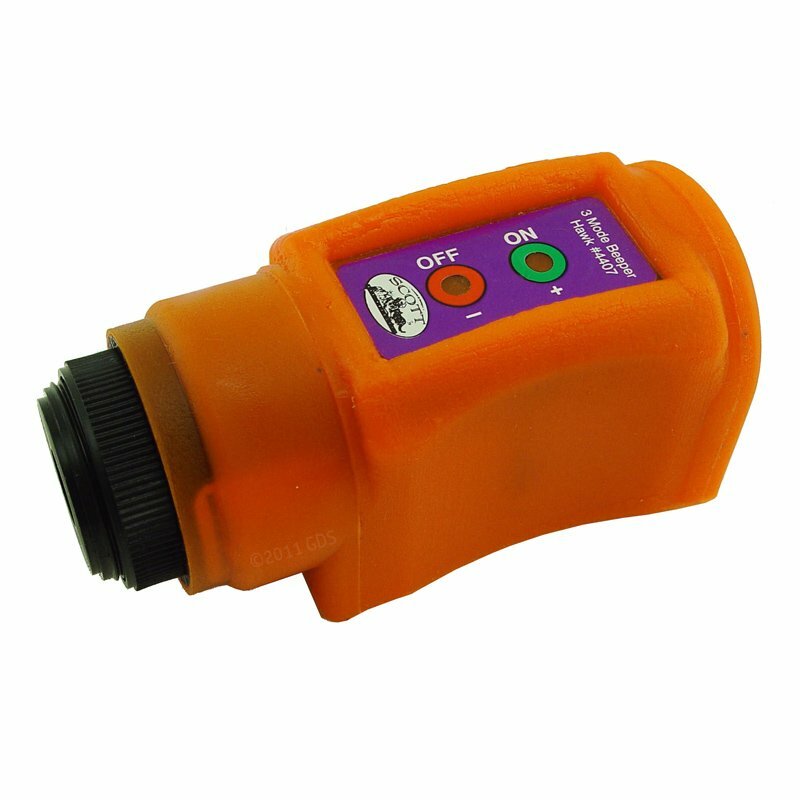 Placing Unit on Dog: This beeper can be attached to any 1" Duralon or Day-glo type collar simply by sliding the collar through the molded slot in the beeper. Some lubricant such as Vaseline or WD-40 may be needed to help slide it through. It will work upside down on top of the neck or on the bottom as a stand alone beeper and can be added to most brands of training collar straps. Changing Battery: Unit uses standard 9V alkaline battery. Use a coin to unscrew the battery compartment plug. After changing battery, tighten plug securely into battery compartment until it is flush. You will have to reset the operating mode after changing battery.